The play cleverly re-interprets Shakespeare's Hamlet from the point of view of two minor characters: Rosencrantz and Guildenstern. The Laurel-and-Hardy-like pair are totally incidental to the action of Hamlet, subject to the whims of the King Claudius – who gets them to betray Hamlet – and then tricked by Hamlet into delivering a letter that condemns them to death. 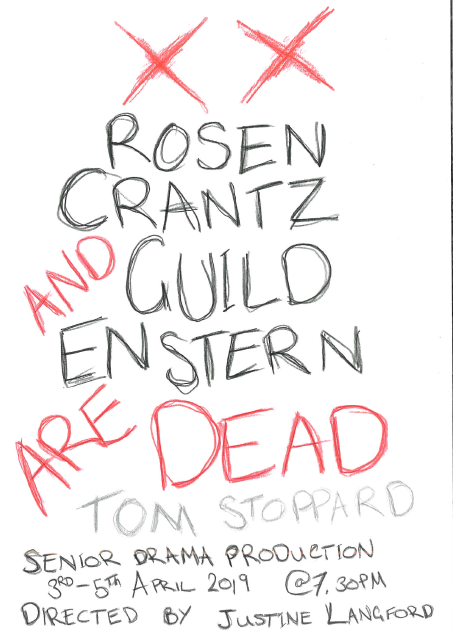 Tom Stoppard's breakthrough play. play turns Hamlet on its head by giving these two the main roles and reducing all of Shakespeare's major characters (including Hamlet) to minor roles. Written around and in-between the lines of Shakespeare's play, Stoppard brilliantly takes the main concerns of contemporary theatre, the inevitability of death, the breakdown in communication and feeling – and inserts them into the text of a much earlier play.